Olov R.T. Janse (1892–1985) was a Swedish-born archaeologist with a doctorate degree from Uppsala University, an interest in broad comparative studies and a thirst for a cosmopolitan lifestyle. He soon left Sweden to work with Henri Hubert, and Marcel Mauss at the French National Museums in Paris, and together with his Russian-born wife Ronny set off on the first of three archaeological expeditions to French Indochina in October 1934. The expeditions, of which the third was under the auspices of the Harvard-Yenching Institute, lasted until 1940 with excavations in Indochina and the Philippines. The war ultimately forced them to leave Asia and return to the United States in 1940. 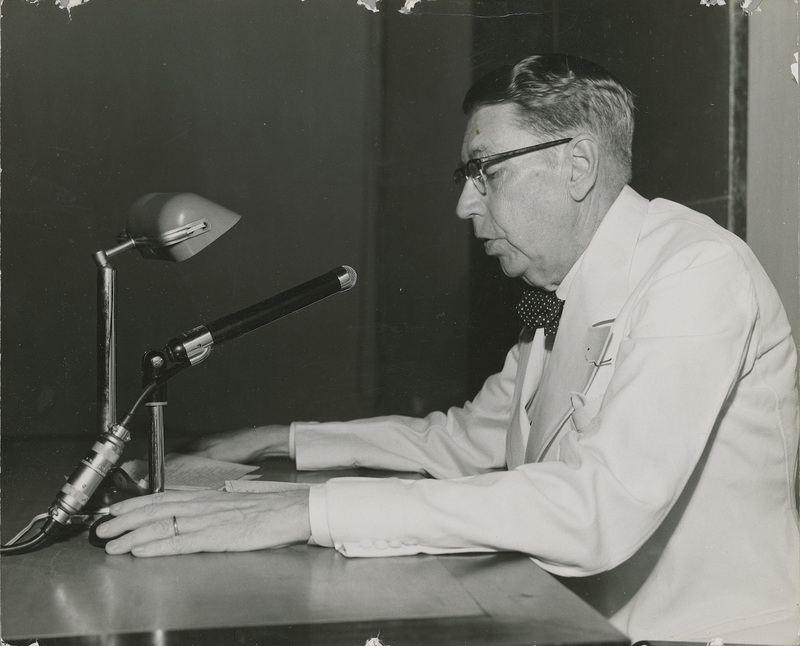 After a sojourn as lecturer at Harvard, displays of their finds, and work with the excavation reports (in three volumes, published 1947–1958), he was contracted by the OSS in 1943 and transferred to the Department of State in 1945. He left to work for a newborn UNESCO in Paris 1946–47, after which he returned and settled for good in the Washington, D.C. Between 1947 and 1960 he worked for the Department of State. He was sent on a Smith-Mundt goodwill trip to South Vietnam and Korea in 1959, and was the mastermind of the Art and Archaeology of Vietnam exhibition at the Smithsonian in 1960. He spent the final years of his life in Washington, D.C., where he and his wife were frequent guests at embassy functions and cocktail parties. The talk is based on the forthcoming biography The Archaeologist In-Between: Olov R.T. Janse (1892–1985), with focus on Olov Janse’s work in Southeast Asia and the United States. Using a microhistorical perspective (with Janse as a prism to illuminate the contexts and institutions he passed through and between) will allow for an emphasis on connectedness and translation between nations and institutions (such as French colonial administration, and US public diplomacy), which have often been treated as isolated, sovereign units. Anna Källén, PhD, is Associate Professor in Archaeology and Researcher in Heritage Studies at Stockholm University, Department of Culture and Aesthetics. She has worked with research in archaeology and heritage studies in Southeast Asia since 1995, and her latest book is Stones Standing: Archaeology, Colonialism, and Ecotourism in Northern Laos (Left Coast Press/Routledge 2015). She is now together with Johan Hegardt preparing the publication of the co-authored book The Archaeologist In-Between: Olov R.T. Janse (1892–1985), which is the result of a 3-year biographical research project funded by Riksbankens Jubileumsfond.